The midsummer festivals are here again. Midsummer may simply refer to the period of time centered upon the summer solstice, but more often refers to specific European celebrations that accompany the actual solstice, or that take place around the 24th of June and the preceding evening. The exact dates vary between cultures. 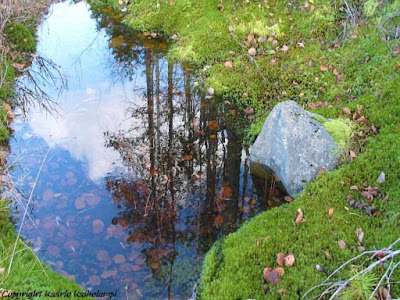 Before 1316, the summer solstice was called Ukon juhla, after the Finnish god Ukko. In e.g. Karelian tradition, many bonfires were burned side by side, the biggest of which was called Ukko-kokko (the "bonfire of Ukko"). 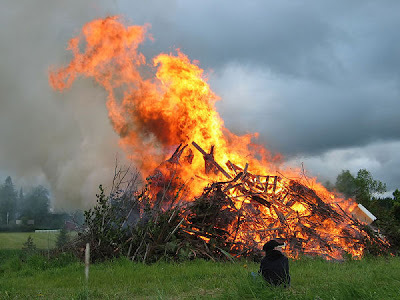 After the celebrations were Christianized, the holiday is known as juhannus after John the Baptist (Finnish: Johannes Kastaja). Since 1955, the holiday is always on a Saturday (between June 20th and June 26th). Earlier it was always on June 24th. This is the time when the day is the longest and in Lapland the sun does not go down at all. In the south we have about 3 hours which could be described as dark. It is not so easy do decide where to draw the line because here the dark never comes in an instant. People burn bonfires all over Finland nowadays, unless it is too dry to do that. Many people spend the weekend in their summer cabins but an increasing amount of young people spend the holiday among friends instead of the family and go to midsummer festivals or even spend the time in the city. In folk magic, midsummer was a very potent night and the time for many small rituals, mostly for young maidens seeking suitors and fertility. 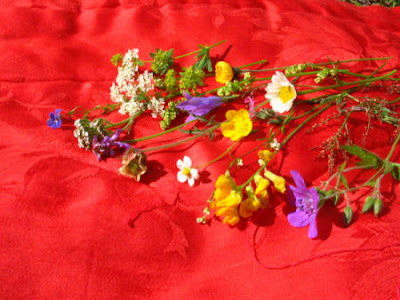 Here are some examples of the rituals you should perform on the magic midsummer night and why. According to tradition a fern blooms only on midsummer night. When you see it blooming, you should pick it up and it gives you magic powers. If you walk in the midsummer night in the forest, you may see a Will-o'-the-wisp. You can find a tresure under it. The bonfire has predicted future marriages. The top of the big heap falls to the direction of the house which will get their daughter married next (obviously that has been very important at some point). The direction of the smoke shows the person who will be married next. There are lots of ways to see your future boyfriend (mostly these seem to be targeted for girls). If you use two mirrors facing each other and look in the other mirror, you will see the future fiancée in the other mirror. Many of these spells have to be performed naked. If you check the bottom of a well, pond or spring, preferably naked, you will see your future spouse. 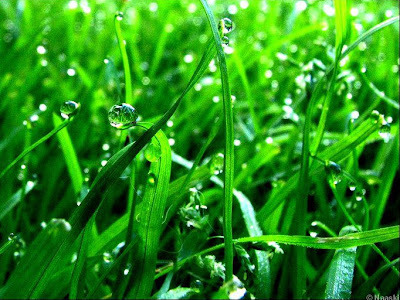 You will be lucky in marriage if you roll around in a dewy meadow during the midsummer night, and of course you have to do it naked. 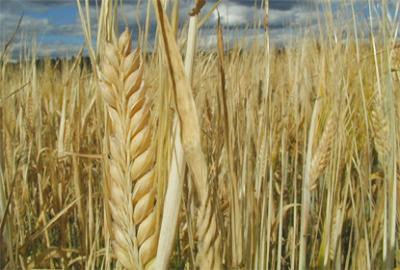 Here is another option for girls: after the bonfires you should roll over naked in the rye fields of houses which have unmarried boys. If you circle around a triangular field on midsummer night 3 times and on the third round you will meet the future spouse. You will see your spouse to be when you on the midsummer night go to sit on the rock of a waterfall naked except a straw belt. And a mysterious thing. If a girl sweeps her bedroom floor on the midsummer night, with only a red ribbon on her waist, her fiancée's ghost will come to see her. I guess the traditions remained after the Christianity but the rituals had to be cleaned a bit. One of the ritual involves the hymn book: You have to keep it in your hand and run 7 times clockwise around the biggest stone on the yard. When you come back to the stone ion the midsummer night you will see your fiance to be. The following rituals basically still remain even though I have not heard about all of them. Different parts of Finland had (and partly still have) their own habits and my knowledge covers Finland Proper, Karelia and bits of Uusimaa (the area around Helsinki, not Helsinki itself). These differences explain the different names for the bunch of birch brances used in sauna. 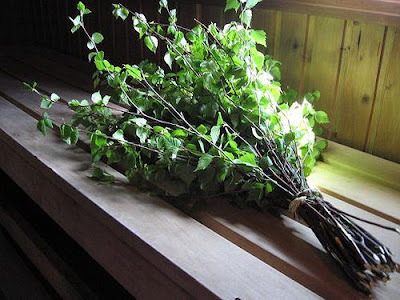 If you put a vihta (or vasta) which is unbound (practically just birch branches) under your pillow, you will dream about your future spouse binding it. If you throw the vihta on the roof of the sauna after bathing, the direction where the fiancée will come from will be shown by the vihta. The right direction is where the wooden handle is dericted. The following flower things are probably something my aunt told me when I was a child and spending Juhannus(Finnish) in Loimaa(English) with her and my grandmother and the rest of the family. Finding the flowers is not hard even now but the other things I am not so sure. If you collect 7 flowers or herbs and cross 7 fences and sleep with the flowers under your pillow, you will dream about your future fiancé. Another version of the same spell is to collect all the 7 flowers from different meadows. There is one usable for the city people: You can dream about your future fiance sleeping with the sock on your left foot upside down! I am married and don't need any rituals to get a husband. Additionally getting a husband is not an issue any more. I just wonder why you have to get so old before you can respect your inheritance. Happy Juhannus, midsummer and solstice! "Many of these spells have to be performed naked." One of my favorite movies is "Practical Magic" with Nicole Kidman and Sandra Bullock. I love the part where the two "magical" Aunts are getting ready to take the kids to "The Solstice" & Sandra's character says "Do NOT have them dancing naked under the full moon." "Well, clothing is optional, Dear, as you well remember." Too funny. I always enjoy your stories, not only about other cultures, but the myth and magic behind "why" people do the things they do. What fun would life be without it being magical? I enjoyed the post very much!